It’s time to hit the roads of Europe again! 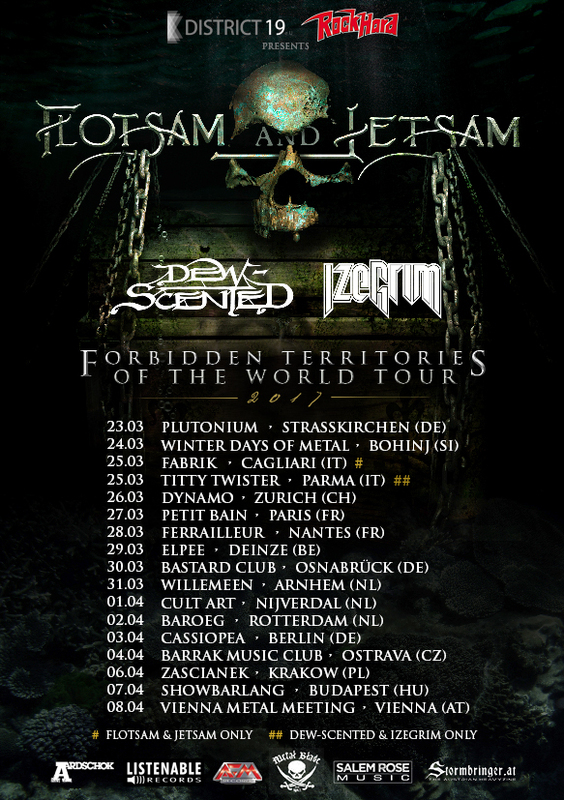 And having Dew-Scented team up with Flotsam and Jetsam as well as Izegrim Official makes for a quality Thrash Metal evening! We look forward to visiting several places we didn’t play in a while, so spread the word and get this party started! 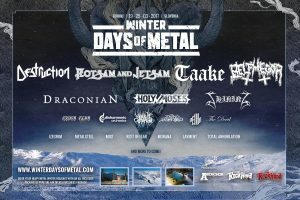 We are pleased to return to Slovenia as part of the Winter Days Of Metal event in Bohinj between March 19th and 25th, 2017. Other bands already announced include Flotsam & Jetsam, Destruction, Belphegor, Taake, Shining, Dead Lord, Izegrim, Orden Ogan, Disharmonic Orchestra and many more. See you all soon high up in the mountains!